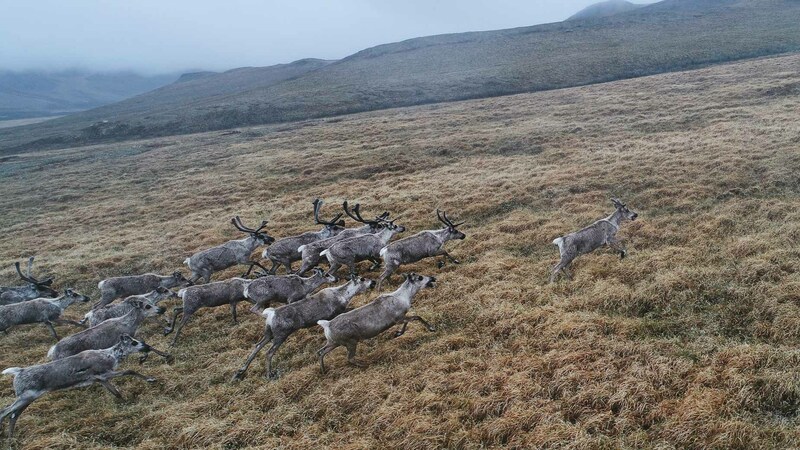 A herd of caribou races over a mountain pass at the southern end of the Arctic National WIldlife Refuge. For the past 30 years this wilderness, known as ANWR for short, has been a battleground between oil interests and the environmental movement. In 2018, it was opened for oil and gas drilling by the Trump Administration.